Parents who idle their cars while dropping off and picking up their children at school probably aren’t aware that they may be putting their children at serious health risk. With their “It All Adds Up to Cleaner Air” campaign, part of a nationwide effort to educate the public about the dangers of vehicle exhaust, the Ewing Green Team is asking parents to help keep Ewing kids healthy by turning off their car engines. Protect yourself and your passengers. Exposure to your vehicle’s exhaust is much higher inside your vehicle than outside and is especially true when the car is idling. So if you are sitting idling in your car in a line at your Bank’s drive up teller or drive thru or whatever, Turn It Off! Protect your vehicle. Another little known fact is that excessive idling can actually damage your engine, so turning your engine off might help you avoid expensive engine repairs. Idling more than 10 seconds also uses more fuel than restarting the engine. Manufacturers assure that frequent restarting won’t harm an engine. Protect the Environment. By turning off your engines you can reduce pollutants that contribute to climate change and cause smog. Each gallon of gas produces 19 pounds of carbon dioxide which is the principal greenhouse gas that contributes to climate change and pollution. Save Money. Vehicles that idle 10 minutes per day waste more than 29 gallons of fuel each year. Do the math. At $3.50 per gallon, that’s over $101 wasted per year. It’s the law. Idling more than 3 minutes is against the law in NJ. 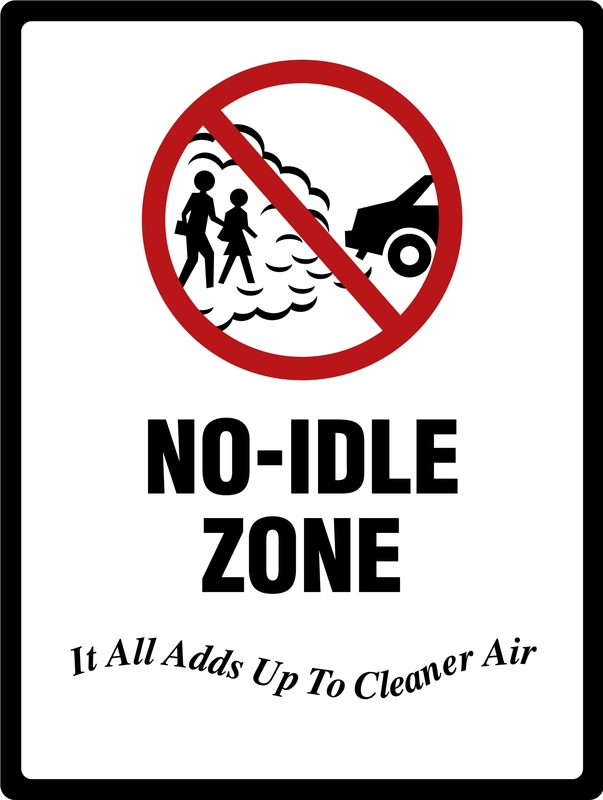 Ewing Township has also adopted an anti-idling resolution to protect our citizens. You can help us keep our town clean, improve local air quality, and save money by conserving fuel and reducing health care costs. If you are interested in promoting a more sustainable Ewing, join the Ewing Green Team at our meetings on the 4th Wednesday of each month at 7 p.m. at the Ewing Senior and Community Center, 999 Lower Ferry Road, Ewing Twp. If you would like to learn more about us, please check out our website at https://ewinggreenteam.wordpress.com/. Contact the Green Team at ewinggreenteam@gmail.com.